This is a variation of the one of the many “superbugs” out there. We typically just make a bunch of these as they work in the Bahamas, Florida Keys, Hawaii, Australia & almost everywhere we’ve tried them. 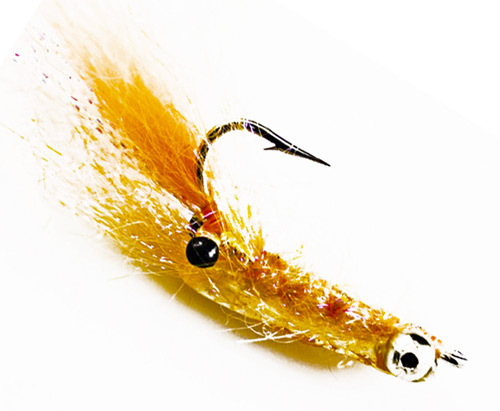 We also like this fly because it is an easy tie. 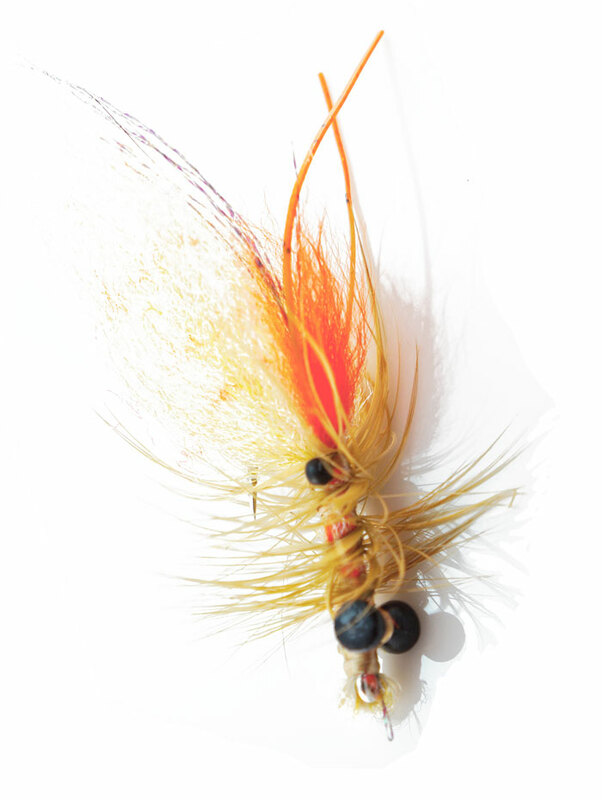 Its a good selection when fishing deeper water or currents. 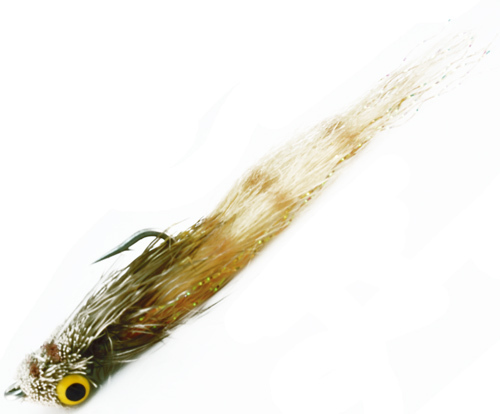 The palmered body makes it a soft landing and even quieter when tied lighter. 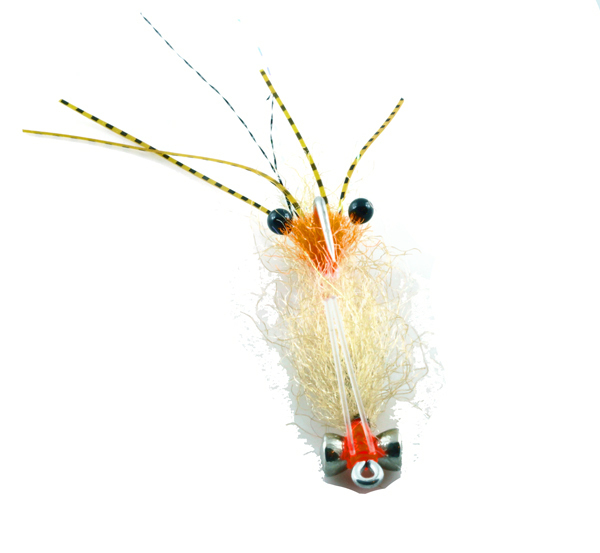 Orange fox fur, tan synthetic fiber (barred with marker), tan sili legs with orange tips.